While every contract contains some form of a promise, it is often difficult to say that a promise is the same as a contract. A promise however may be the first step to in entering into a contract. 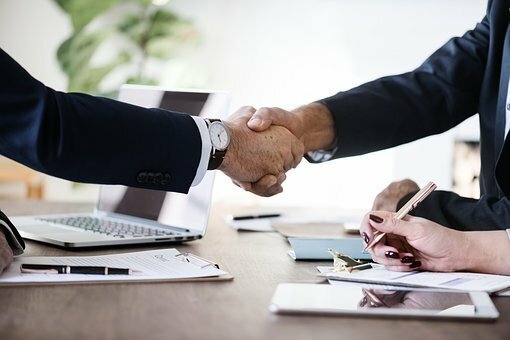 A promise can be described as an offer which is an important element in forming a contract but a promise alone may not be binding on both parties. This is so because an offer alone does not oblige the parties to respect any terms. Furthermore, a promise can lapse with the passage of time. Or it can also be rejected by the one to whom the promise is made. It is in this sense only a commitment by one party to another to carry out or refrain from carrying a specified act or acts. A promise can be binding or not but difficult to enforceable in law. An offer contained in a promise must be accepted. This acceptance suggests that both parties understand the considerations (benefits) which will be derived by both. In fact, it is this offer and the acceptance of the offer which constitute the "meeting of minds in the same intention” between the two parties often called an "agreement' which is another important aspect of a contract. While some people would like to equate an agreement to a contract, any businessman must understand that a contract is a little different from an agreement. A contract can be described as an agreement made with the intention to make it a legally obligatory. Two parties in a contract therefore are legally bound to perform what is specified in a contract. A good definition for an agreement is "a concord of understanding and intention between two parties with respect to their relative rights and duties" (Black's Law dictionary 2014). This means that in formulating a contract it is important that the two parties reach some agreement and until there has been this agreement by one party accepting an offer proposed by the other party suggesting that the parties are in agreement on all aspects of the business transaction, there can be no contract. A contract is a legally binding agreement between two or more parties. It could be written, verbal or implied. · A promise is a mere proposition of an offer. It may be binding on both parties but nearly impossible to be enforced by law. · An agreement involves an offer and an acceptance of the offer. It has a weaker legal backing and can only be enforced under some limited circumstances. · A contract is an agreement which is legally binding and can be enforced by law at all times.